Enys is a Morecambe self catering holiday rental. With 2 bedroom and sleeps 4. Located 1.3 miles from the centre, about 25 minutes walk. This self catering holiday rental receives very good reviews from guests. Check-in is from 4pm to 10pm. WiFi is free and parking is also available. Rental start from around £98. This semi-detached holiday house is available to rent all year. There is a lawned garden with barbecue area, a living/dining room, a kitchen, a washing machine and bed linen and towels are provided. 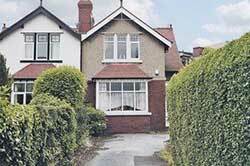 15 Elms Road is a Morecambe self catering holiday rental. 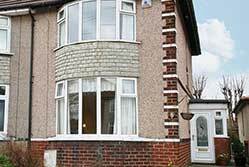 Located 1.2 miles from the centre, about 25 minutes walk. Check-in is from 4pm to 10pm. Family rooms are available WiFi is not available. Car parking available on site. A pet friendly holiday rental ideal for family holidays, 15 Elms Road has a garden has 6 bedrooms fuel and power is included and bed linen is provided. 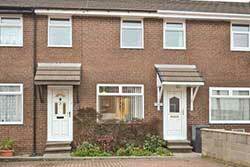 Cumberland View is a Morecambe self catering holiday rental. Located 1.5 miles from the centre, about 30 minutes walk. This self catering holiday rental receives fabulous reviews from guests. Check-in is from 4pm to 10pm. Family rooms are available. There is no WiFi. Parking is possible nearby. This is a pet friendly self catering holiday rental with two bedrooms, a bathroom, dining area and kitchen. Towels and bed linen provided. Cots are not available. Prices start from £206 per week. © Copyright 2008-2016 SelectRooms. All rights reserved.